Museum Meetups: Live in the Los Angeles area? 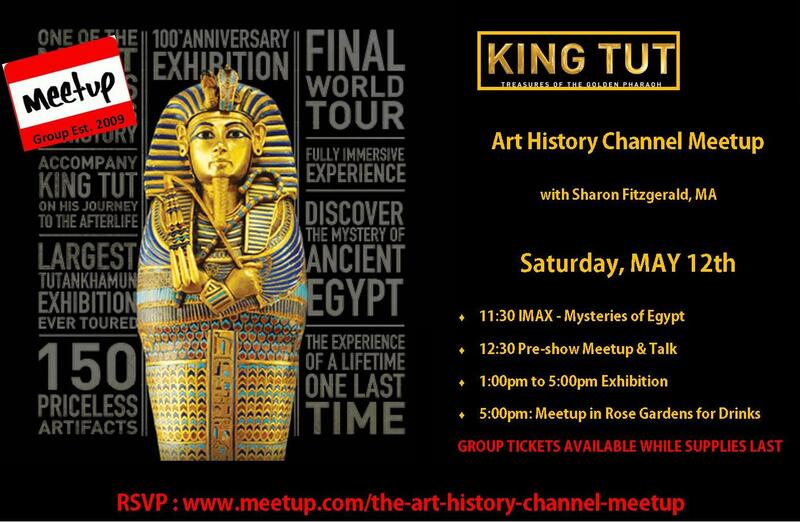 Join Sharon and her Art History Channel Group hosted by Meetup.com for free museum lectures, outings and events. Visit http://www.meetup.com/the-art-history-channel-meetup/ or click on the images below for more info. Below are a list of flyers from past events. Super excited to get back to LACMA, we haven’t been there since 2013! On the List Picasso & Rivera, German Renaissance, a visit to the La Tour painting and much much more! They have an incredible pre-First World War Modern Art collection and an extensive Baroque – and if we have time, the best Warhol’s in town! Drinks and discussion at the Stark Bar to begin. Please buy your entrance ticket and meet us at the giant outdoor bar. Thanks to everyone who came out to the Norton Simon Museum on Nov 5, 2016 – it was a great turn out! See photos of the event HERE and stay tuned for the next two Meetups coming up in Jan & March. Join the Meetup.com group HERE for more information. 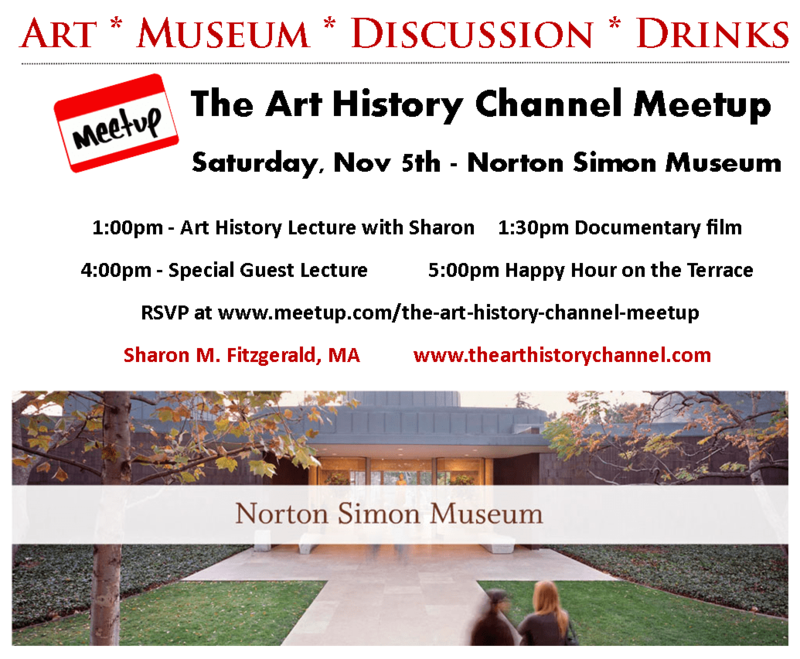 Norton Simon Museum – Saturday, November 5, 2016 Click HERE for details.